Earthquake – Where were you? – What did you think? The focus of St. Joseph Family Homes is to develop leaders for the country of Haiti. St. Joseph’s has developed a Leadership Team of five young men. Two of them have already been to Cabrini and will be returning in September—Bill Nathan and Walnes Cangas. 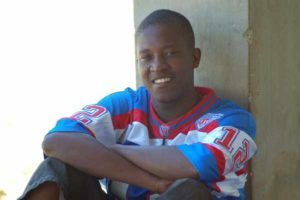 Now I would like to introduce you to another person on the Leadership Team, a young man I met at Trinity House for the first time in February 2009. His name is Jacky Asse, he is now 29 years old and he came to St. Joseph’s when he was 11 years old. After Jacky’s parents died, he became a child slave and ran away from that situation after several months. He lived on the streets with his two brothers until a friend of Jacky’s mother brought the three brothers to St. Joseph Family. He graduated from St. Joe’s at age 18 and became one of the featured dancers with St. Joseph’s Resurrection Dance Theatre. He also began helping choreograph the dances. He performed with the Dance Theater at “Dance Africa” at the Brooklyn Academy of Music and the Chicago Theater in 2003, and has toured the U.S. and Canada with the Dance Theater. In 2003, Jacky was hired as the dance teacher at Trinity House. His leadership ability allowed his role to expand at Trinity House to an Assistant Director, and in February 2010, he was named the Director of Wings of Hope. He is now responsible for the day-to-day operations of the home and the welfare of the 38 physically and mentally-challenged children and young adults who live there. Most importantly, he wanted to share what Michael (Founder of St. Joe’s) said to him. Please continue to pray for everyone at St. Joseph Family Homes. The two buildings are gone now, leaving holes in the skyline, just like the absence of the Twin Towers in New York. Only the front gates are there. Now comes a time of waiting until they can begin the rebuilding. Plans are still on the drawing boards. Prayers will help them in their sorrow. It is like the darkness before the rising of the morning sun.